Summary: Ms. Erickson served as the Project Director and the Project’s Engineer-of-Record on this 4-mile beach nourishment project. She was responsible for coordination with U.S. Army Corps of Engineers, the development of a 4-Mile beach restoration project design and engineering, acquiring all necessary construction permits and performing all environmental and engineering studies for construction. 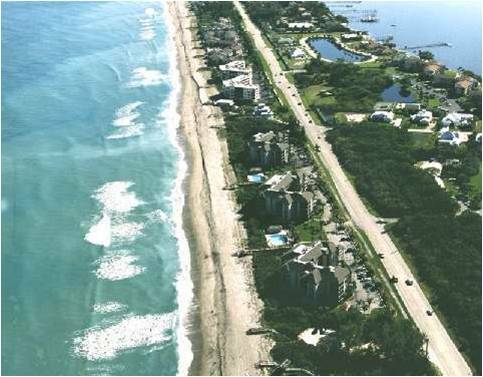 Project consisted of coordination with U.S. Army Corps of Engineers in the development of a 4-Mile beach restoration project design and engineering. Ms. Erickson conducted a sand compatibility analysis and geotechnical analysis for design of the borrow area, economic analysis of project benefit, and refinement of U.S. Army Corps of Engineers project design to protect environmental resources. The project consisted of a 1.6 million cubic yards of beach nourishment.